A huge merci to all the bloggers who completed the Daddy Tag Challenge this week. It could not have been such a success without you, guys! So thank you to all the papas who did it. 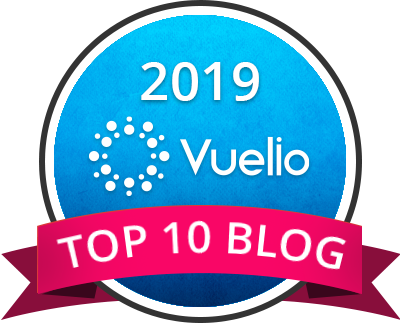 A lot of people who joined the crew this week know what the blog love means! 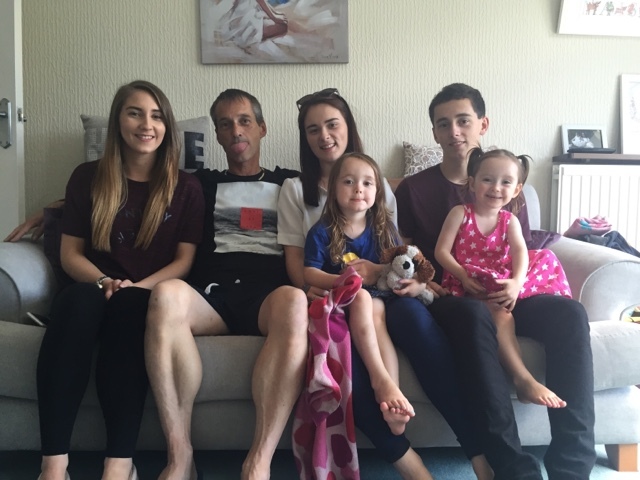 This week, I selected Nigel’s post because it is so obvious that he is a very caring and loving dad to 5 enfants! I also really enjoyed reading his sincere answers. With Nigel, you only get the truth and that’s it! Happy reading! 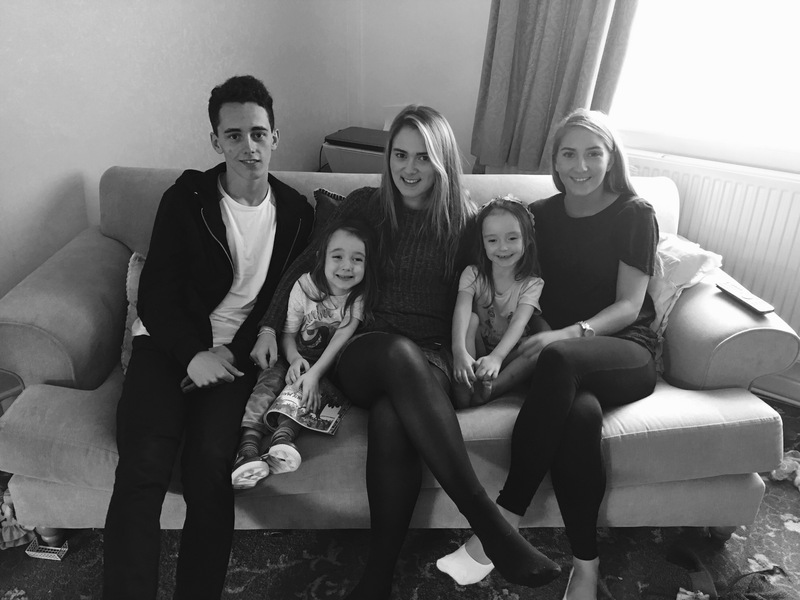 Tag which is a challenge set up by a wonderful fellow blogger, The Frenchie Mummy. Ok, let’s Rock ‘n’ Roll ! I’m half and half! On a Monday and Tuesday, I’m home with my four year old twin girls and I work Wednesday through to Saturday, sometimes Sunday, although that’s the only day we get to spend together as a family. Absolutely not! We don’t have any childcare help so once my wife went back to work part-time it seemed logical to take Monday and Tuesday off to be with the girls and I love it! Yes! It never bothered me and with twins, there wasn’t any choice! Some days there was poo everywhere! I would definitely give it a go! I’ll try anything once. What I would like to do is sit in a restaurant and start breast feeding. I’ve never understood these idiots that moan about mum’s doing the most natural thing in the world. Now just imagine the outrage at me doing it, that would be interesting. A moment to savour I think. A mummy! So when I’m under pressure mummy will be there to take over. Oh yes and my iPhone, well it is moulded to my right hand. Where my hand goes my iPhone follows and of course it’s always there to capture those magical moments of our children growing up. Had them! All five! I think I have stopped. No Wait! Still tempted to have another one. Who knows, I get so broody when I see a new born, watch this space! Lads nights? How often do you have them? Never! They really bore me to death! Always have! I don’t drink so that may have something to do with it. There are so many and it would be unfair to pinpoint any particular one, but a few are my daughter being selected to play football for Wales and getting into university. My oldest daughter achieving so much in the workplace in such a short time. My son is slowly developing my somewhat strange sense of humour that is very rewarding, and he is now trying to wind me up which is very funny. My older children are now well-balanced adults and that makes me very happy. My four year old twins, every milestone that they achieve is my favourite. Recently they have started telling jokes and generally making up stories which I find very rewarding. One memory that sticks in my mind was three years ago we were all on holiday in Menorca and that was a very special week because it has never happened before and in truth won’t happen again. I don’t really miss anything that much because I feel I was born to be a dad and I enjoy it so much. It gave me purpose and meaning in my life. However, I do miss gaming! I never seem to have the time anymore. I was obsessed with Xbox and to prove it,I had the Xbox logo tattooed on my arm! I will probably irritate everybody now, but I have been the same weight for years. 10 stone it never really goes up or down. I would love to go to Disneyland in America. You never know one day maybe. I would never go on my own, so if by chance it was my wife and I, which is seriously unlikely, the Caribbean would be pretty cool. I don’t feel it changed that much. It’s busier, but it’s fuller more exciting and there’s absolutely no chance of ever being bored. The only thing maybe is doing something on a whim with my wife, but that’s not the end of the world. Children give you so much pleasure as a parent that other things don’t seem important anymore. No, hang on! I miss the cinema, meals out, romantic country walks with my wife, staying in bed all day on a Sunday. OMG! My life is so very different, actually, who am I? When any of my children kiss me or say I love you. Simple, and of course ‘dad can I have a tenner?’ Actually, my heart stops when they say that! I must be clinically dead, they are always asking for money. I don’t drink so no favourites there. My football team is Cardiff City, my hometown and I have followed Manchester Utd for years. Pampers, but to be honest wouldn’t know the difference! They really are all the same to me. Although Pampers kept all the poo in never leaked if memory serves me well. No, not really, my own childhood was for a better word interesting and having children of my own always frightened me a bit. Then I end up having five children! Strange how life works out. Subconsciously I may have wanted children. I will explain when I was about 12 years old I had an accident on my bike, and I went across the crossbar straight into the handlebars with my wedding tackle taking the full impact and I cut myself. My grandmother called an ambulance as she thought I was passing blood. I was not about to get it out and show her! On the journey to A&E, I clearly remember asking the paramedic will this stop me having children and he smiled and said no. So maybe I did always want children just didn’t know it. Everything! It’s what I believe I was meant to be. I think I’m quite good at it, but it defines me as a human being. I love every single moment of being a Dad. 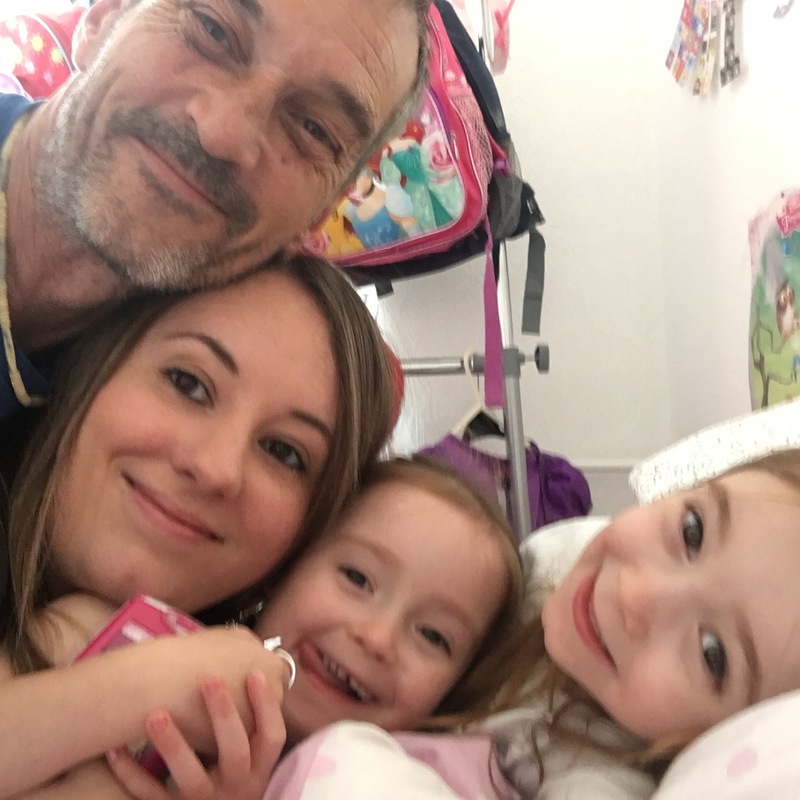 Along with his blog DIY DADDY, you can also find Nigel and his family over on Twitter,Facebook, Google and Instagram. PSST! 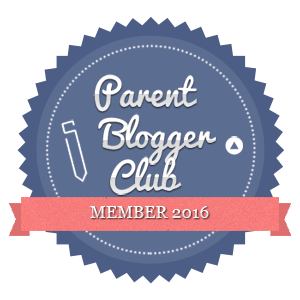 If you love blogs, don’t forget to check out Nigel’s favourite mummy blogger Twin Mummy and Daddy! Yes, his wife Emily is also a blogger and a good one too! So don’t miss an opportunity! 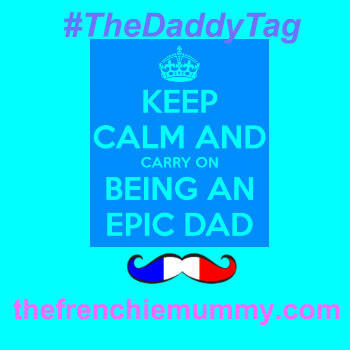 If you loved reading this post, please feel free to join the party and complete #thedaddytag challenge. 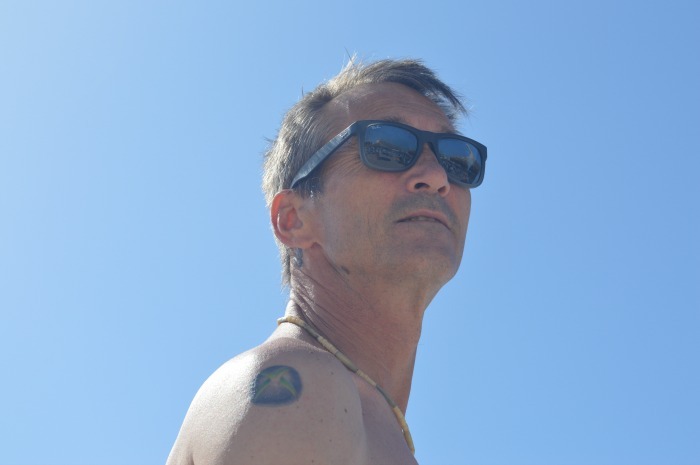 You can find all the exciting details in our post The Daddy Tag Challenge, bien sûr! Enjoyed reading about you and yours.